An enzyme that is responsible for the breakdown of specific amino acids in food plays a key role in the development of leukemias and brain cancer, scientists from the German Cancer Research Center (DKFZ) in Heidelberg have now reported in Nature. The researchers have hence discovered a surprising link between energy metabolism and the so-called epigenetic code. These labels in the DNA of cancer stem cells determine the activity of genes and, thus, many cellular functions. The authors think that blocking this enzyme is a promising possibility to combat cancer. "These tiny methyl groups that are attached to DNA determine whether particular genes are active or silent and, thus, have an immense impact on all cellular functions", said Simon Raffel, one of the study's first authors. The finding that BCAT1 drives cancer-promoting methylation in AML stem cells and other cancer stem cells opens up new options for therapy: "A blockade of the enzyme using a targeted agent might normalize DNA methylation and thereby reduce cancer spread and therapy resistance"; Trumpp said. The Heidelberg Institute for Stem Cell Technology and Experimental Medicine (HI-STEM) is a partnership between the DKFZ and the Dietmar Hopp Foundation. 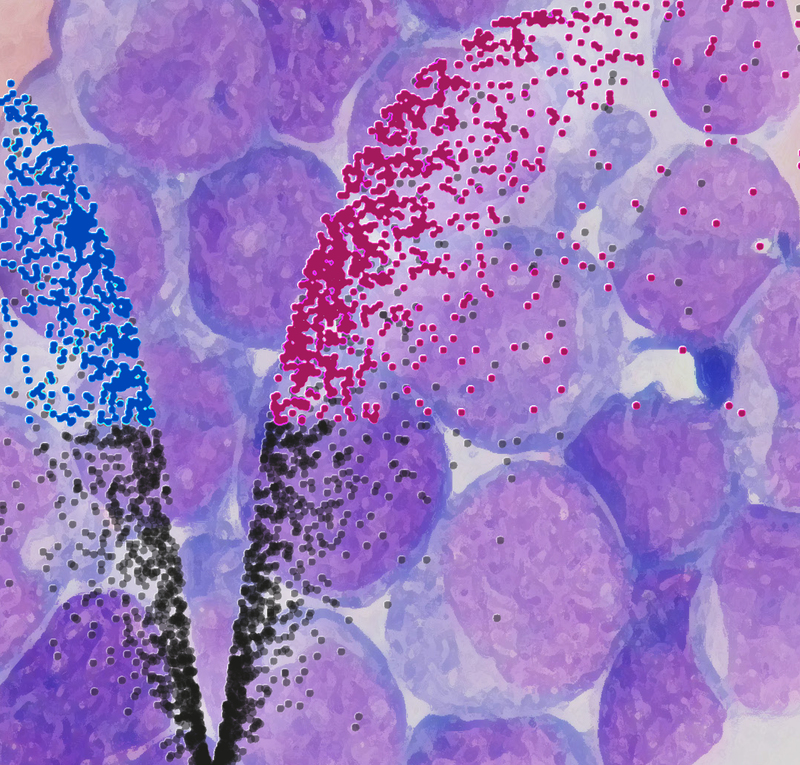 Picture Caption: Blood cancer is initiated by leukemic stem cells characterized by a specific protein expression pattern. Use is free of charge. The German Cancer Research Center (Deutsches Krebsforschungszentrum, DKFZ) permits one-time use in the context of reporting about the topic covered in the press release. Images have to be cited as follows: "Source: Simon Raffel, DKFZ". Distribution of images to third parties is not permitted unless prior consent has been obtained from DKFZ's Press Office (phone: ++49-(0)6221 42 2854, E-mail: presse@dkfz.de). Any commercial use is prohibited.